We LOVE taking care of your pets! With everything we do, our staff’s actions uphold this pledge. 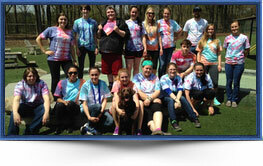 Each team member has been hired based on their knowledge of animals, behavior, skills and experience. In addition, they are a part of this team because they bring a level of service, commitment and integrity second to none. We then consistently educate, coach and evaluate in order to fulfill our promise of providing you with the best pet care around. Our Customer Service Team is here for you. If there is a question our team will find the answer for you. We strive everyday to provide you with quality, knowledgeable and friendly service. We hope you never hesitate to call us – that’s what we are here for! 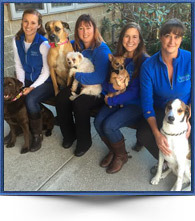 Expertly knowledgeable about all aspects of our pet retreat, our dedicated team of reservation specialists are here to help you plan every detail of your pet’s visit. From advising on the best accommodation, to arranging enriching activities and ensuring tailored menus to suit dietary preferences, our specialists will help you make the perfect arrangements for an exceptional stay. Dogwood Acres began out of a desire by owners, Kurt and Audrey Reichardt to find a quality pet retreat for their beloved Black Lab, Casey. As young, accomplished professionals, they had the opportunity to travel extensively, but hated leaving Casey somewhere they would not stay themselves. They wanted a place where Casey could get lots of outdoor exercise and tons of personal attention in a clean and comfortable setting. 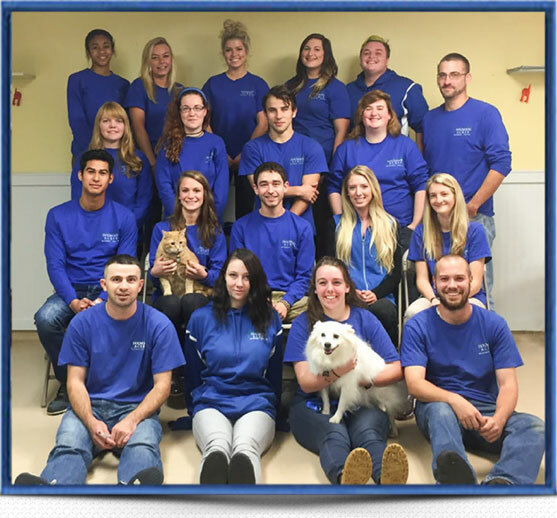 Recognizing that their expectations for a pet care facility were high, but assuming there must be others that share the same desires for their pets, they began developing Dogwood Acres. To achieve their vision, they combined their love of animals with their respective professional backgrounds. Kurt’s background is in architecture and Audrey’s expertise is in organization development, human resources and customer service. In addition, Kurt grew up helping his family run a small veterinary clinic and Audrey grew up on a horse farm where animals were a part of her everyday life. All of this led to creating a place where they could feel good leaving Casey. 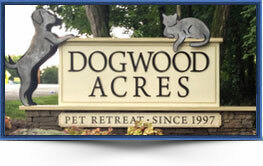 And so, Dogwood Acres Pet Retreat was born on September 9, 1997. The business has improved and grown, but the vision was clear and still remains. Kurt and Audrey wanted to create a place where pets would enjoy visiting. A place dedicated to what animals enjoy doing best – playful exercise and socializing with each other and/or their human companions. 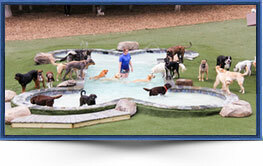 Kurt and Audrey were pioneers in the pet resort concept and led the industry in providing doggie daycare to their clients. They also love the challenge of catering to each guest and take great pride in ensuring that each guest has the best experience possible. Jill has been an important part of Dogwood Acres since 2003, first as a Customer Service Representative, then as Customer Service Supervisor, and currently as General Manager. She oversees all daily operations including lodging, daycare, bathing, training and customer service. 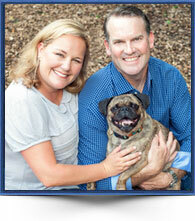 Like all of us, Jill is a pet lover who keeps our guest’s well-being and happiness in mind with everything she does. 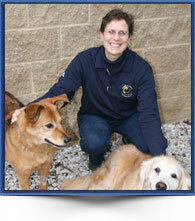 Jill has lived in the Annapolis area all her life and loves our dog friendly town. She is the new mother to a baby boy and has a full and busy house with her husband, 2 dogs and a cat. 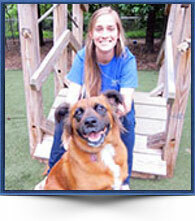 Emily first joined the Dogwood team in 2013 excelling as a Pet Attendant and now as the Pet Care Supervisor. Emily’s responsibility is to oversee all pet care operations and staff and to ensure that every pet’s stay at Dogwood Acres is exceptional. 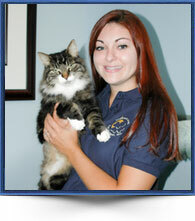 While working full-time, Emily is completing her Bachelors Degree and she is certified in Pet First Aid and CPR. In her spare time she loves being outdoors with her two dogs, Bentley and Eli. Some of her other interests include snowboarding, music, puzzles and cooking. Dorothy joined Dogwood Acres in 2001 as a Customer Service Representative and has been providing exceptional customer service ever since. Dorothy has been tirelessly dedicated to Dogwood and is our “go to” person for anything that needs getting done. 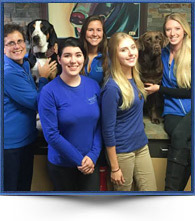 With her unwavering warmth and professionalism, Dorothy strives to make you and your pet’s experience here as positive and enjoyable as possible. Before working at Dogwood, Dorothy was a front desk supervisor at a dental office and a teaching assistant for kids with special needs. A native New Yorker, she has lived in Germany and around the country before settling in Annapolis 19 years ago when her husband “retired” from the US Army. She is the mother of 2, a Grandmother of 4, and a loving caretaker of many dogs and cats over the years. Erin joined Dogwood Acres in 2007. She first started as a Pet Attendant, and then was in Customer Service until Dogwood needed a Marketing Coordinator where Erin is now able to combine her marketing and event planning talents with her passion for animals. With a Bachelor’s Degree in Art Studio and Masters’ Degree in Marketing Management, Erin’s mission is to focus on the needs of our dog and cat clientele and to build strong customer and community relationships. In addition to indulging her passion for graphic arts and photography, Erin loves to spend time with her dog, Evie out and about in Annapolis.